Have your one act play professionally produced. 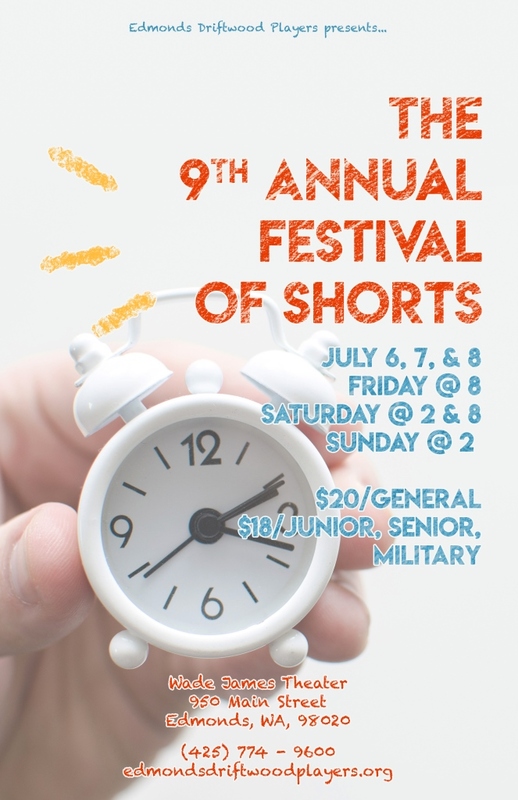 Submissions are now being accepted for the 9th Annual Festival of Shorts! We welcome you to submit a short play script for the 9th Annual Festival of Shorts hosted by Edmonds Driftwood Players in residence at the Wade James Theater. The Festival this year will be presented in four performances – Friday and Saturday, July 6 and 7 at 8pm; Saturday and Sunday, July 7 and 8 at 2pm. Please read through ALL of the instructions for submission. If a submission does not meet the criteria listed, we will return it so the playwright can fix and resubmit. Deadline for all submissions is Monday, April 2 at 5pm Pacific Standard Time.